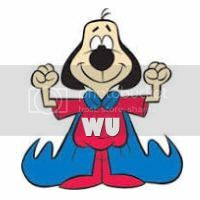 I'm NinjaPuppy and I am a moderator on Winston's "Debunking Skeptics" forums. I thought I'd drop by and see what his newest creation was all about. I've been on assorted ladies discussion forums since 1998 (because I am a lady) and do hope that your time here is enjoyable and informative. This forum could start off with a dose of your lady-like wisdom. Wait til they see your killer avatar too. Do you make overseas calls? For the lowest rates, check out my HappierAbroad Calling Card Shop. Seeking a foreign partner? See these Top International Dating Sites. Hi Winston! I do want to mention that your anti-bot question selection (name the US state capitol) was not the easiest thing. It only proved to me all those blonde jokes were pretty accurate. I had to do it more than a few times to get access to this forum. 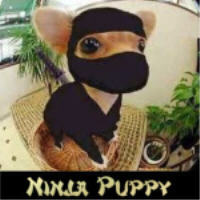 NinjaPuppy wrote: Hi Winston! I do want to mention that your anti-bot question selection (name the US state capitol) was not the easiest thing. It only proved to me all those blonde jokes were pretty accurate. I had to do it more than a few times to get access to this forum. All you had to do was look up the capitol on Google hun. Maybe it will keep out the spammers. Or can spam bots use Google too? I love that avatar. It's the cutest I've ever seen. Winston wrote: All you had to do was look up the capitol on Google hun. But I did! I just couldn't remember the proper spelling of Montpelier or whatevertheheck it was. Yup. I come from a long line of Russian red heads but somehow my mom wound up blonde and of course so did I.
Winston wrote: Maybe it will keep out the spammers. Or can spam bots use Google too? Yes, it will keep out the bots, no problem. Winston wrote: I love that avatar. It's the cutest I've ever seen. Thank you. I wonder if you would like this one better? Yeah that's cute too. lol. Maybe I should use it for my avatar. NinjaPuppy wrote: Go for it! There was a new movie called Underdog too. Btw, I added "(Use Google if you don't know)" to the humanizer question in case the person didn't know the answer. Winston wrote: Btw, I added "(Use Google if you don't know)" to the humanizer question in case the person didn't know the answer. Welcome! This is my first contribution in this community. I am so glad to join this forum. Before this community I join number of discussion board and exchange my ideas. Now my experience is much better to be a part of this group, wish i will understand some excellent stuff here and also discuss my information. I hope you like my joining and share your some most interesting travel experiences with me. The bus tours of niagara falls from nyc is great option for doing fun it is best for especially for kids. Most Welocme friend. I'm a newbie too. I am sure we will be taken care of here. I am so glad to join this forum. I have a massive interest in getting information. The purpose of joining this forum is to learn more things from this community and share what I know. I hope you like to tell me about something in this forum. My tour expierence with san francisco to las vegas bus was memorable. Want to say a warm welcome to all new members. I hope they will enjoy here a lot and get information according to their desire. Tani, you will found this platform very informative and interesting.